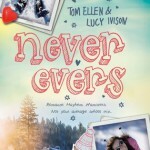 Never Evers by Tom Ellen and Lucy Ivision — YA contemporary. Written by the authors of the hugely funny Lobsters, Never Evers is aimed at a younger readership, so the focus is on friendship and first kisses rather than rude stuff. The romance is very sweet — some scenes felt almost Stephanie Perkins-esque — and Ellen and Ivision are excellent at nailing the intricacies of friendship. 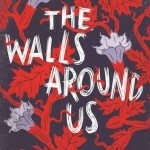 The Walls Around Us by Nova Ren Suma — YA magic realism. I’ve seen Nova Ren Suma’s books about a lot, but this is the first I’ve read. The Walls Around Us follows two teen ballet dancers, one of whom is in prison for murdering two girls, and the other living the life her incarcerated best friend should have had. It’s not the fastest-paced novel in the world, but it’s told in an interesting way, and certainly got me thinking. 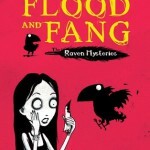 Flood and Fang by Marcus Sedgwick — MG fantasy. Edgar the Raven considers himself guardian of the Otherhand family, and takes it upon himself to save them when their gothic castle floods and servants start being eaten. A quick, entertaining read. 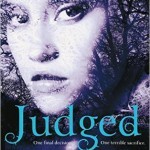 Judged, The Blackhart Legacy #3 by Liz de Jager — YA urban fantasy. Read my review here. 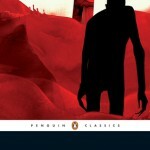 Dracula by Bram Stoker — Classic Gothic horror. Re-read for #2016ClassicsChallenge. Read my review here. 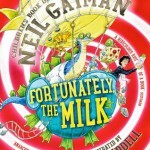 Fortunately, the Milk by Neil Gaiman — Children’s fantasy. Short and silly, with fabulous illustrations. First Class Murder, Wells & Wong #3, by Robin Stevens — MG historical murder mystery. 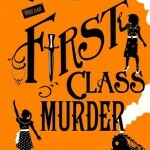 I’ve said many times how much I love these books, and First Class Murder was no exception. A clever mystery to solve, a great balance between humour and drama, and some smart social observations. 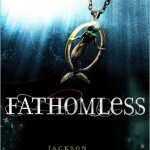 Fathomless, Fairytale Retellings #3, by Jackson Pearce — YA fantasy. Fathomless is a retelling of the Little Mermaid, with links to the first two books in the series, Sisters Red (Little Red Riding Hood) and Sweetly (Hansel and Gretel). Plot-wise, I didn’t love Fathomless as much as the other books, though I thought Pearce’s ocean girl / mermaid / murderesses were spectacular. 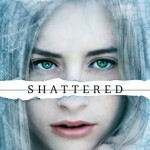 Shattered, Slated #3, by Teri Terry — YA dystopia. I’d been meaning to read the last book in the Slated trilogy for such a long time, and am glad I finally did. Lots of twists and turns, and a good ending to the trilogy. A really clever, well thought-out series. The Wanderers by Kate Ormand — YA fantasy. Another book I’d been wanting to read for a long time! 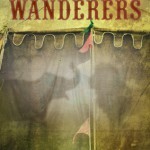 The Wanderers is about a shapeshifter circus. 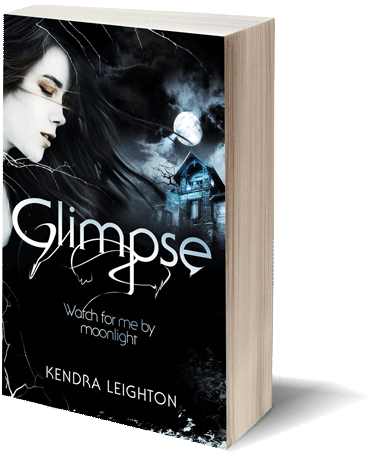 It’s a book of twists and revelations, and a story of a gentle girl finding out just how strong she can be. I really enjoyed it, especially the action-packed second half, and look forward to finding out what happens in the sequel. 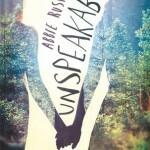 Unspeakable by Abbie Rushton — YA contemporary. About a girl who hasn’t spoken since the death of her best friend, Unspeakable is a mystery and LGBTQ romance, with some thriller vibes thrown in. I enjoyed it, but found it a bit slow-paced. I’ll Give You the Sun by Jandy Nelson — YA contemporary about twins whose lives get pulled apart, yet each have half of the puzzle pieces to put everything back together again. This book seemed to be everywhere last year. Now I’ve read it, I can fully understand the hype. A truly beautiful story; read it if you get the chance! Which book was your favourite this month? Thanks, Ashleigh! 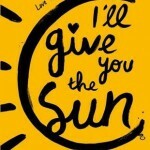 I remember you loving I’ll Give You The Sun; that book was probably my favourite of the month. Shattered was really good — it was a long time since I’d read the other books in the series too, so I had to google around a bit to remind myself of the plot before starting! And yes, give The Wanderers a whirl if you can!